The Seco Heavy Duty 5401 Aluminum Tripod serves as an excellent base for multiple instruments. This device has square extension legs that extend its height to 67 inches. The legs fasten tightly in place using secure twist locks. The pointed metal feet allow you to implant the device firmly in the ground for a stable setup. You can connect a variety of equipment to the flat triangle head using the universal 5/8 X 11 threading. There are also outer dowels that add stability to this device. 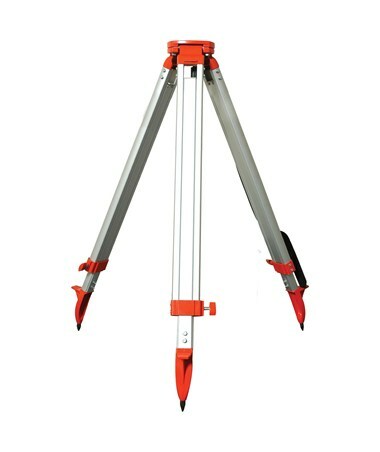 This Seco Heavy Duty 5401 Aluminum Tripod has orange hardware and weighs 10.10 pounds. It includes a plumb bob hook, a useful shoulder strap, and a 1 year limited warranty.